Product prices and availability are accurate as of 2019-04-07 00:06:44 EDT and are subject to change. Any price and availability information displayed on http://www.amazon.com/ at the time of purchase will apply to the purchase of this product. VA20353 Warranty: -Lifetime warranty does not cover abuse. 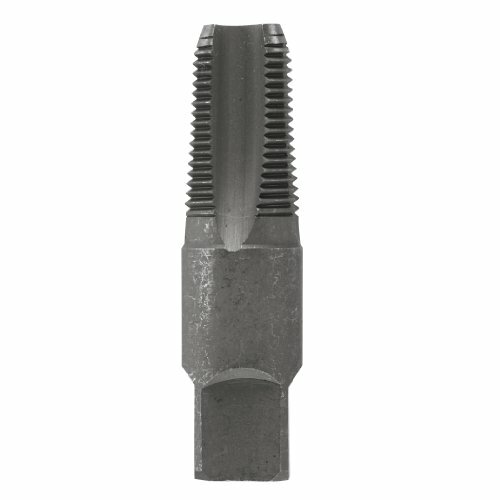 High carbon steel pipe taps are ideal for pipe fittings, cutting internal threads and wherever an extremely tight fit is required. Taper taps have 8 to 10 threads chamfered for easy starts in tough materials. Four flute design on all taps ensures fast and easy chip clearance. Required drill size is permanently etched on the tool for quick and easy reference.